As a child who once liked history and geography, the cross Magellan brought to Cebu fascinated me big time. 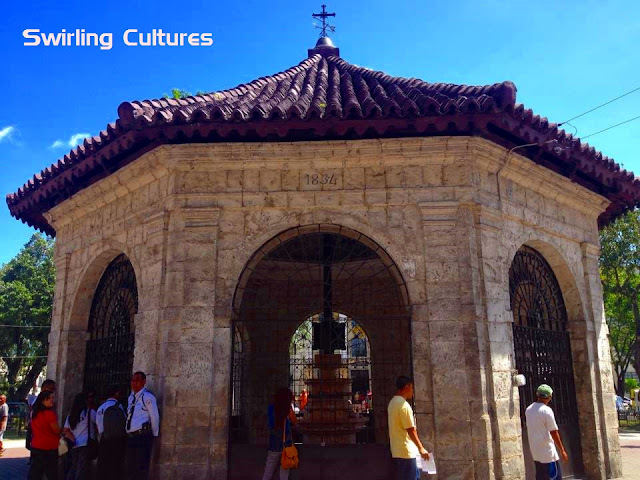 Postcards and TV programs helped me in having not just a glimpse of the Magellan's cross, but more so, be able to understand some of its historical information. I got the chance of seeing the cross up close and personal during my recent trip to the Philippines last summer. It was my first time in Cebu so I thought of at least not missing it out. 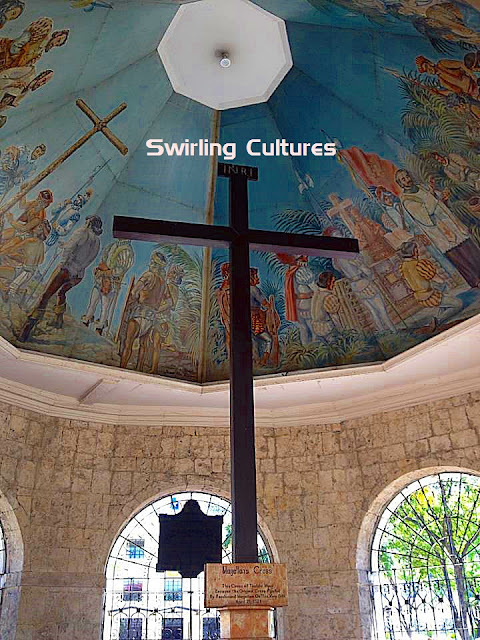 The cross is located next to Basilica Minore del Santo Niño, the country's oldest Roman Catholic church founded in the 16th century. And since some people tend to chip away or scrape its parts in their belief that it possesses miraculous powers, the original cross was encased inside the wooden cross for protection. You can read it from the description of the sign below the cross. There are also others who believe that it is just a replica of the original one. The "original", as what they believed had been destroyed or probably disappeared after the conqueror's death. My wife told me that the chapel was opened for public during her last visit sometime in 2007. Unluckily for me, it was closed when we arrived. But I must admit that I'm glad nonetheless to take souvenir shots of one of Cebu's famous tourist attractions that fascinated my once young mind.